At last, two years after the publication of Vasa and Ypres: A Mayfair Conundrum, the second Vasa and Ypres full-length adventure is here! Park Avenue or Bust! is available for pre-order as an e-book and paperback on Amazon. Tell all who will listen, and get ready to draft those five-star reviews. 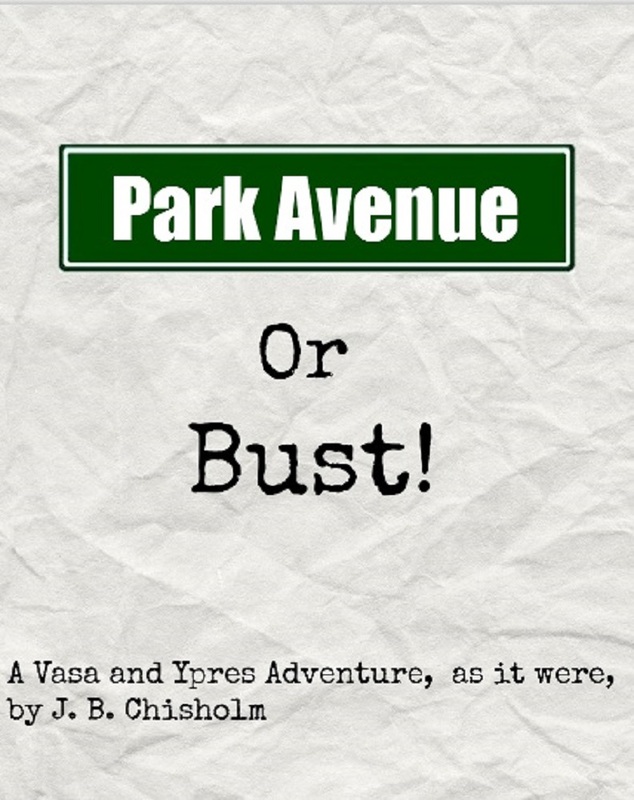 In Park Avenue or Bust!, Vanessa E. Vasa, long financed by her Uncle Edward, discovers that she is on the verge of bankruptcy. This despite the publication of her ‘acclaimed’ Mayfair Conundrum, and a burgeoning conundrum consultancy in London. Pushing aside the suggestions of her ever sound lady’s assistant, Mildred Ypres, she decides to flight to New York, set up her American HQ on Park Avenue, and take an internship at the United Nations Development Organisation (UNDO). Facing the learning curve of stringent economy in the Big Apple, the forever stylish duo is drawn into further shenanigans when fellow intern Madison reveals a problem of her own. By choosing to buy a copy in e-book format or in print, you directly support the continuation of the Vasa and Ypres series. Previous Post Chapter XXXIX – Bust! Congratulations on your latest book! I was hooked on reading e-books for awhile but now I’m anxious to read physical books, so I’m hoping to get copies of both books soon. I have the ebook of Mayfair Conundrum and loved it! Thank you so much! And yes, they are both available in physical format on Amazon.